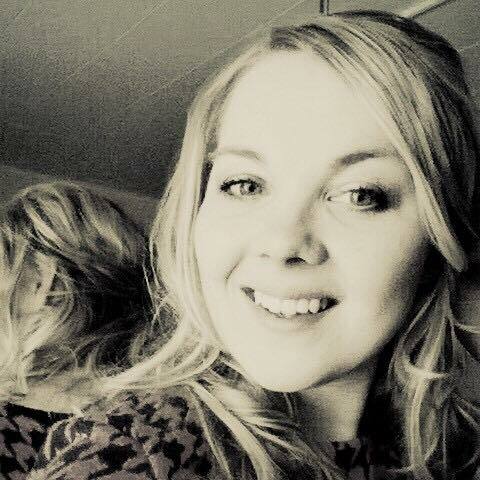 Katri Kulmuni, 28 , is a new Centre Party Member of Finland’s Parliament for Lapland constituency. She was elected with a very large number of votes (almost 10 000), which proves her popularity. She is also the Chairperson of Tornio City Council. After studies in social science and a specialisation in international relations, she worked from December 2010 to June 2011 as the press attaché for Paavo Väyrynen, Minister for Foreign Trade and Development. Her responsibilities in Tornio makes her very aware of the present refugees’ crisis and of the importance of international affairs. She is one of the rising stars of the Centre Party (Keskusta). What are your first impressions of the Parliament? The elections were in April so the first session before summer was actually quite short while it took time to install the government and adopt the government programme. We then had to gather our committees, and our everyday work should have started then the summer break came. It was only last week when the autumn term started so still it has been quite short. But I’m sitting also in the EU committee that takes care of all the European Union issues and we worked also in summer dealing with issues like Greece and the Eurozone. It’s extremely interesting but it takes time to get deep inside all the topics because there is some very technical stuff for a new MP but it’s very interesting for me. Is it looking like something that you were expecting? I guess somehow I’m in a lucky position, as the party I am representing is now the Prime Minister’s party so basically we should have quite good opportunities to influence. Everyone knew that the financial situation in Finland is very tough, but what surprised me was that it has gone even worse. MPs need to be active and look for coalitions if they want to promote something. For example, for my district, Lapland, there are only seven MPs and we need to constantly get support from other groups and from other regions to push our specific issues forward. Nobody can really do anything by herself. During the campaign you insisted on equality between the regions. Is there something you are going to do about it? Yes. I guess that’s one of the main reasons why I ever ended up being involved in politics. We talk about equality between people, between different social groups, between everything, but then there is also the aspect of equality between regions. I feel it very strongly. Finland is a very long country geographically and we have so many different areas, which makes the differences quite important. That is the one thing that I’m constantly trying to take on discussions, and it is also in the core of the Centre Party policy. Because of the centralisation, people move to cities, but if we think of the economic possibilities in Finland, they are linked to our natural resources and how we process them, so the centralisation is not necessarily the best move. It is very important to have equality between the regions, so that people have everywhere the same possibilities to have education, to get the necessary services and the availability of the same infrastructures. This kind of balance would be economically good. How can you do something personally? It has to be considered as a part of all important decisions. For example, for the social health reform, which is a major reform pushed by our government, I need to constantly stress how important it is for people to benefit from the services all around the country. Of course I understand that there cannot be a university hospital in every town, but we need guarantee that the access to all services, from the basic ones to the most specialised, is guaranteed to everyone. And the same goes for education. And if you consider our strong university network, here in Finland, it has also allowed a number of cities to grow and develop. So I guess you need to take the regional perspective in every issue. We probably do not need a specific regional policy; we need to have a regional perspective in all policies. And that is what I am doing. Are the Members of the Parliament involved in the preparation of the main reforms prepared by the government? This was one of the surprises for me: to see how powerful the ministers and ministries are. I’ve always known they were very powerful but compared to MPs they are extremely powerful. When you are a first term MP, it takes time to earn the recognition of your other colleagues, so our influence is limited, at least until they know you and learn to work with you. In some way, it is a working place like others, you need to adapt, and of course those MPs who have been working here for 20 years or 30 years are in a more influential position. But as a member of the party leading the government, it is easier for me to have an influence, pass a message and get it through. If you are involved when the minister and his ministry are preparing some law, then you can have a real influence. But when the minister has already delivered the law, and we start to work on it in the committees, through the official processes, we can also say what we think about it, but it is more complex. What has been a surprise also are the number of steps in the preparation and the adoption of the law. When you know it well, you can really be very influential. You have been involved in the discussion about the government programme. What did you most appreciate in it? I appreciate the emphasis put on solving our economic problems,. Seen from my point of view, a regionalist point of view, if we wish to benefit from our natural advantages to develop our economy, then we need to associate high technology and natural resources, in order process then efficiently. I see it as very, very important. Then there is the effort to balance the public finances. I don’t know if I’m happy about it, but it has to be done. So the government programme is for me a very honest and serious programme. The previous government programmes were like wish boxes, there were all kinds of things in 100 pages, and at the end not really much happens. The present programme is sometimes also a little too general, but for the main part it is quite focused and streamlined. I appreciate it. Then because I come from the northern region and I’m from the border of Sweden and I’ve always lived in an international environment, I consider it very important to simplify things for people. When you look around, a lot of countries have minimised the bureaucracy, so that people’s life is easier. This is another thing I like in this programme. Is there something that you would like to see in the government programme or that you would like to improve? We got criticised about the absence of gender equality in the programme. I don’t know how it happened, but I feel that we could have written more on the topic. Also there are some points in the programme whaich are still quite abstract, even if globally it is better and clearer than the previous programme, and I would have like to see these points more concrete. And of course, if I could change it, I would review the very strong cuts to education. You have said that you are in the EU committee and you have worked for Mr Väyrynen. What do you think of his initiative concerning the euro? It’s a political agenda; he’s been involved from the early 70s and is still extremely active. The euro question is really, really complex. If you consider it only as a financial perspective, you can find solutions and discuss the interest of the euro. But the euro is not only a currency, it is more than that, it is a political topic, it is about European integration, it is about global politics and our influence in the world, so we should not consider it only from a financial point of view. Of course, in the nineties, my party was against joining the euro, and from this point of view it may have been probably better to stay out, as did all the other Nordic countries. But now, we are in it, and I don’t see a short term way to get out of it. I guess the euro would work quite well if everyone would follow the rules but when the countries don’t follow the rules there will always be a problem. However, we are facing a new challenge with the report of the five president [On 22 June the so called Five Presidents’ report, authored by Jean-Claude Juncker, Donald Tusk, Jeroen Dijsselbloem, Mario Draghi, and Martin Schulz, was published, outlining plans for strengthening economic and monetary union]. They presented ways how to develop the euro, and their proposal are towards more integration, with for example a banking union law where you share all the burden between countries, a more important control of the EU on national budgets, etc. For me, we cannot go in this direction. We can have a union of currency, but still the national state should have the responsibility of the budget and of the econmy, a transfer to Brussels of these powers would not be acceptable. It is possible that in Southern and Central Europe and in Central Europe there is a tendency towards more economic integration, but I’m not happy about that progress. In that sense, Paavo Väyynen is in the very core of the situation, like he’s always been. He knows how to position himself to the centre of the discussion. We have not yet really talked in the party about how to cope with his initiative. I would say that at some point we are going to vote, not perhaps on his initiative only, but a national vote about staying in the euro or going out of the euro, if we are obliged to accept more economic and financial integration. Are we going to accept a more integrated Eurozone, or would we like to develop a Eurozone from a wider perspective. What is your analysis of the situation with the refugees and Finland especially when they are going now through Lapland I think? It is a new situation for the whole country, and but somehow for Lapland, as a border region, we are a hot spot. We have always been in this situation, for example a hundred years ago when the First World War started, or during the Second World War when Lapland was evacuated and the people went over the river to the Swedish side. We are used to it, even if the question of refugees is new and we just need to cope with it. It won’t be solved only through the actions that we make in Lapland, or even in Finland. It’s an issue for the European Union, and it involves major international political issues, concerning the events in Syria, the events in Iraq or the events in Afghanistan. In all these regions, the United States has also been very active, so I would hope some sort of support and actions also from the United States in the current situation, as they bear some responsibility in the events. But I’m really scared and disappointed about the public discussion on the question of refugees, and about the discussion that is going on in the social media which is quite really, really hostile and aggressive. I must say that it does not help to solve the situation at all. Is it difficult to discuss with the True Finns on this kind of situation in the Parliament? It’s easier if you know what they are standing for on any issue, if you know what the person you’re doing work with is standing for and then you can try to find some sort of compromises and the middle way how to do things. But it’s been very important that the True Finns are in the government so that they see that the world is not always working the way you wish it to work and you need to cope with this. Now when there is the biggest refugee crisis since the Second World War and the True Finns are in the government, so they really need to take responsibility how to solve the things. Most of their MPs have shown solidarity with the government and really trying to work the best way out so I have nothing bad to say about that. But of course there are also hints from the True Finns side that haven’t been really appropriate during the summer for example. You have been studying in St Petersburg and you showed during the campaign a certain knowledge of Russia. What is your opinion about the recent evolution of Putin and what should be done about it? It has changed quite quickly. I came back from St Petersburg in 2012, so it’s three years ago, and the situation then was still somewhat different. There were riots in St Petersburg, in Moscow against the totalitarian way of Putin’s politics and there were thousands of people who were marching. Somehow they counted as the opposition, a quite big opposition. But it was a fractured opposition, they did not find any sort of unifying issues except that the fact that they hated Putin. The situation of the Russian opposition has really, really gone bad since then, and there isn’t really too many democratic choices there. And then, from an international point of view, Russian actions have gone worse in the last three years, with the events in Ukraine.. Three years ago in St Petersburg, I had several student colleagues and met very often with persons who were from Ukraine and if someone would have then said three years ago that Russian would attack Crimea, I wouldn’t have believed it and I guess they wouldn’t have believed it themselves as well. So it has been a sad story. With the crisis, we have pushed Russia in its own corner; we have cut their relations with the western world; we have pushed them to develop new relations with other partners, such as China or India. But still, the Russian people paying for that have not changed in the last years, and I guess that most of them are not too happy about Putin. But there is no way to challenge his politics because there is no structured opposition. I feel however that the relations between persons in Finland and the persons in Russia in everyday life from Europe to Russia are very important, even if the exchanges between governments are not so easy these days. In addition, the situation is costing us a lot economically, and economy is nowadays so important! So I don’t know how much longer we can have this situation. There has been some good news from Ukraine: it looks like the Minsk Agreement would be followed better (in summer it was not respected at all). So I am hoping that the crisis will be finished soon. But all the work that has been done after the collapse of the Soviet Union somewhat went to the garbage, so it will take time now of course to build the trust and alliances again between Russia and the EU. I see also that Russia is well involved and very active with the Arctic Committee activities, and in the Barents issues. It shows that they want to keep the contact with the West, but they do not find the way out. I know that it is international politics, and big countries are doing the core of it. But who will make the first move? When I look at the situation in Syria, I see a glimpse of the Cold War era, with the Western alliance and Russia both giving weapons and providing support to different groups. But we are still living next to Russia, we need to cope with it and I guess it’s better to be in good relations with your neighbour. You need to be strict and say if they do wrong, but still you need to cope with your neighbours. In this context, do you think that Finland is going to apply for NATO ? Somehow it seems that there is a sort movement where Finland is being inched towards NATO step by step. Personally I really don’t see the point from the Finnish perspective. Due to a complex situation, there could be an escalating conflict between NATO and Russia, and if something would happen, it would probably take place on the borders between Russia and the EU, probably in Finland, which is not good for us. Being outside NATO has been a balancing force. If something happens, the Nordic states, who have together a tradition to be a nuclear free and peace-promoting zone would have a lot to do in the diplomatic process of avoiding conflicts and minimising the develop of weapons, nuclear or not. So applying for membership of NATO would be together risky and go against our Nordic traditional values. If some government in some future takes the decision to apply then it should definitely be a vote for the whole nation to decide if they want to be in a military alliance. Thank you for the good news in the latest newspaper. Finns are talented and very social activ. We are living close in the border of Russia so it ‘s our standart of living here in the north Finland.